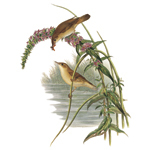 Birds: The Art of Ornithology is an outstanding selection of images from the unrivalled collection of the Natural History Museum in London, including exquisitely crafted works from some of the most famous natural history artists in the world. 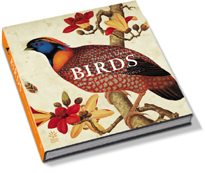 Complemented by detailed, lively text, which interweaves ornithological science, art history, biography and travel, this historical survey tells the remarkable story of bird development through the ages, from the early, decorative, skilfully executed but often fanciful, images of birds, through the ages of exploration to modern approaches to capturing the essence of these freest of all creatures on canvas. 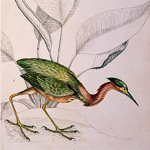 Birds: The Art of Ornithology is a vivid portrayal of the artists and the birds they painted, with fascinating details of the lives of both.